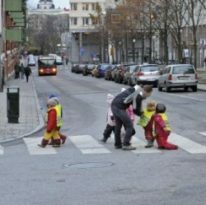 Action from public authorities is often necessary to solve problems of children being exposed to unhealthy environments. 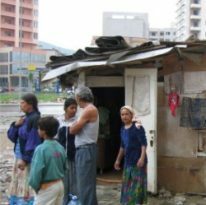 However, such action must be based on sound data establishing the extent of the problem – data which are often lacking in low-income contexts. This article describes how Terra dos Homens engaged a community in Brazil to gather the data necessary and prompt the local authority into appropriate action. Lucía brought up her four children alone, getting by on what little money she could earn from refuse she collected from the streets of Rio de Janiero. With her children’s father serving a prison sentence for drug trafficking, she had no option but to take her young children with her onto the streets as she scavenged for rubbish, exposing them to environmental hazards. For the development of the project, Terra dos Homens took care to involve individuals who could potentially lead a truly local project that would really benefit the people living there. Lucía’s children are now in school, and she works as a community volunteer with Terra dos Homens on a project which has made significant progress towards ensuring that other mothers who work on the streets have an alternative to taking their children with them. The project began in 2008, in a community called Mangueirinha, in the town of Duque de Caxias, about 40 minutes from the centre of Rio de Janeiro. The success of the project is rooted in its approach, which started with a diagnostic exercise to map the community and identify potential partners. Our entry into the community was a gradual process, with the aim of getting to know the area and its people, culture and history. We took care to involve individuals who could potentially lead a truly local project that would really benefit the people living there. As is the case in many low-income towns in Brazil, official institutions have very little data about the people who live there. To be able to base the project on sound data, therefore, we ourselves had to carry out a census to list the number of inhabitants, the average number of people living in each home, how many children went to school, people’s views on what kind of public and social services were needed, and so on. We engaged volunteers from the community to carry out the interviews. From the start we realised that many of the mothers taking part in the project collected waste for recycling. As they were very poor and the community had no nursery school, most of them took their children with them to pick up rubbish. We came to the conclusion that we ought to find out exactly how many were in this situation. Or they said to me: ‘You’re not going to take that [the information] to the Child Protection people are you?’, because they were leaving their children locked in at home while they went to work and they were afraid of what we would do with the information. People are scared, that’s why they were a bit suspicious. Nonetheless, the census enabled us to identify the scale of the problem of children being exposed to unhealthy environments by accompanying their parents to work on the streets. Out of nearly 6000 residents, we found 112 families who were street sellers or who collected material for recycling, accompanied by a total of about 200 children up to the age of 8. When we asked them ‘What does the community need?’, we found that the main concern was the lack of a nursery, which would enable parents to go out to work without having to worry about their children. With hard data to hand, we organised a formal presentation of results, attended by families, for the local authorities. It was the first time the Mangueirinha community had been able to back up their demands for public services with actual figures. 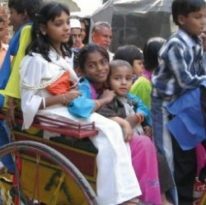 At the end of 2011, the nursery school opened and it now caters for 250 children. You can’t think of assigning public money without having first obtained a proper reading of the target area and its inhabitants. The starting point is when you have gathered and analysed all this data. Our relationship with Terra dos Homens has been very positive because it is an organisation that acts ‘in loco’, interacting with local people, and there’s nothing better than having a dialogue with a set of people who are aware of the situation on the ground. This type of intervention shows how civil society can work to promote change by helping the community to gather data, which in turn enables it to engage in productive and articulate negotiation with public authorities. Establishing and maintaining such partnerships require time, resources and energy, but promise social change that is specific and lasting. 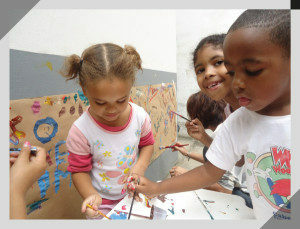 At the end of 2011, the nursery school opened in Mangueirinha ­community, and it now caters for 250 children.